Polkadodge are back, and they're bigger and better than EVER before. 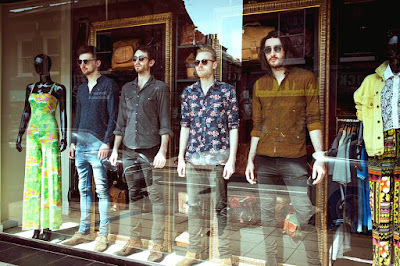 The Sheffield based band (made up of John William Burton, Paul Robertson, Martin Greening and Jack Galvin) have been away for just over a year, and suffice to say, their comeback single has most definitely been worth the wait. With stellar guitars and exceedingly smooth, stylish and gritty vocals throughout from John, this is undoubtedly their strongest work to date. The impressive and forceful introduction meant that just seconds in I was in no doubt that this song was going to be everything I'd hoped for and more. It's brimming with the dynamics and personality that we all know and love Polkadodge for, but I feel that their sound has really matured. There's something about this that is noticeably very different from their previous work; older tracks, for example 'Laughing In Spanish' and 'The Other Way', are infectious, chipper, and packed full of pop orientated indie melodies and catchy choruses that you can't help but sing along and have a dance to. 'All In My Head' can only be described as a full on rock anthem. It makes me visualise the band playing it live to arena sized audiences- it's THAT good. A stroke of pure musical brilliance, this is one of the most exciting releases of 2016 so far and I cannot wait to see what comes next. Welcome back, boys. 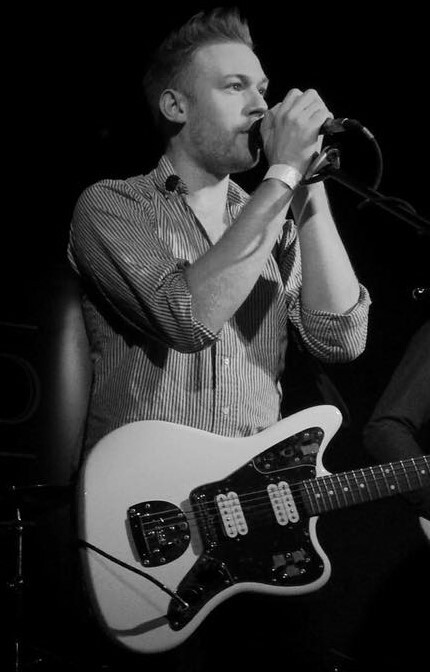 Polkadodge play The Leadmill in Sheffield on Saturday 9th July. Tickets can be bought here.